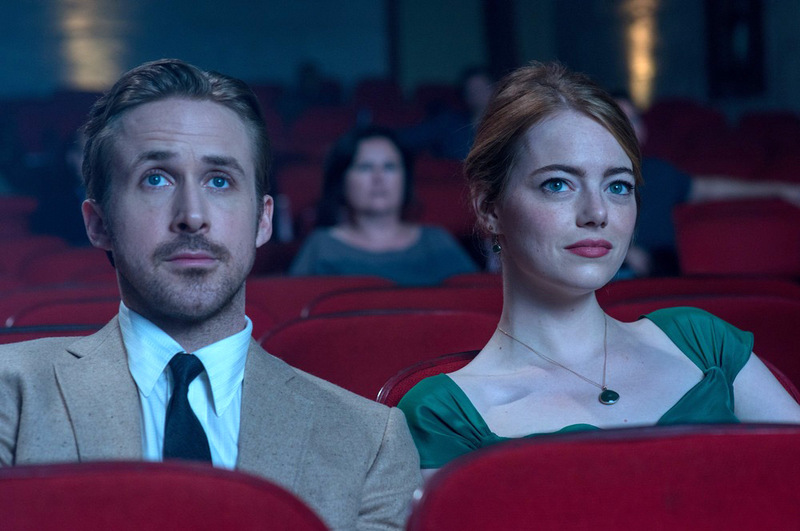 If you're the someone ready to be found"
So I decided to wait a few weeks before I posted this review in the hope that a lot people who wanted to see La La Land will have watched it by now but if you haven't seen it yet and don't want anything spoilt then I'm giving you a warning that this post contains MAJOR PLOT SPOILERS including the ending! So please don't have a go at me for ruining the film. 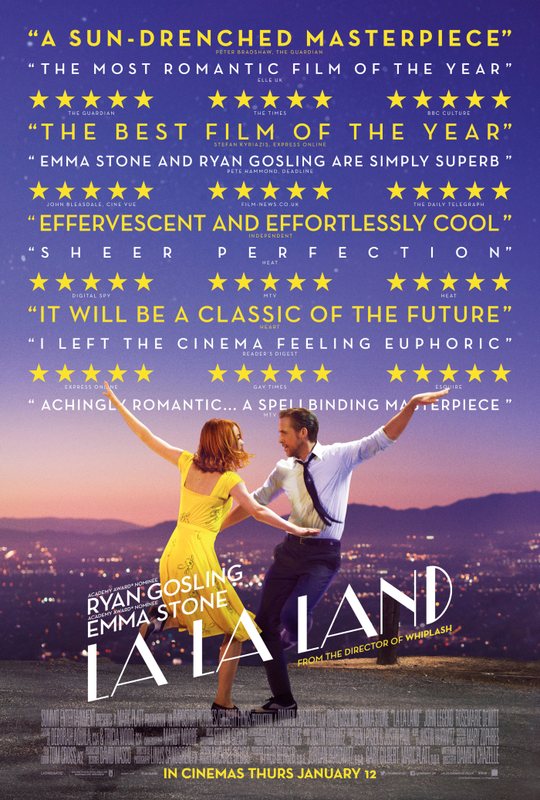 As a cineworld unlimited card member I had the opportunity of going to a screening of La La Land almost a week prior to its official UK release date. Which is the first time I've ever been to an advanced screening, but I was so incredibly excited to see this film after watching the trailers over and over again it seemed the perfect first choice! I went along to watch it with my cousin, Becky. There has been so much hype about the film leading up to its release I felt a lot of anticipation, would it live up to expectations...? 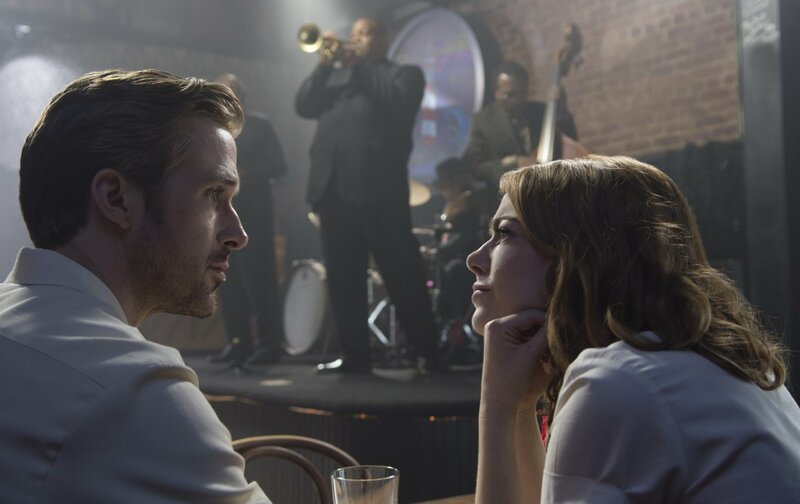 With a fairly small cast the focus is on the two main leads Mia (Emma Stone) a aspiring actress & Sebastian (Ryan Gosling) an accomplished jazz pianist who are struggling to get their big break in Hollywood. It opens with a flash mob style song and dance routine on a highway in L.A and I must admit at first I thought "hmmm is this going to be a massive cheese feast?" But I really got into the song even though there was no sign of the main characters until the end! Something worth noting is that the lyrics in the opening number 'Another Day of Sun' actually foreshadows the ending of the plot. 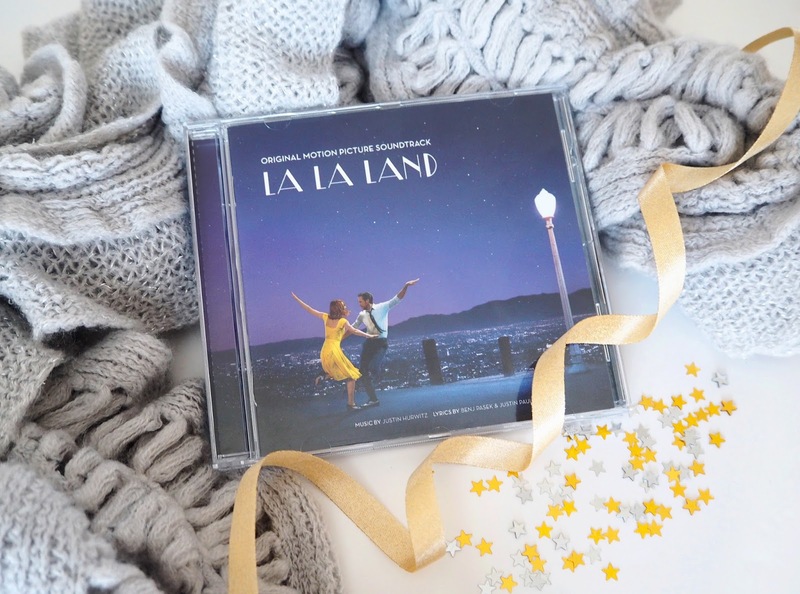 That'll be the thing to push him on and go go"
I have absolutely fallen in love with the films soundtrack, I've already bought it and been listening over and over. I do feel I would've liked some more upbeat musical numbers to be honest! The couple that are in there are so good. I think my favourite number is "Someone in the Crowd" it's so upbeat and just makes me want to sing along every time (a bit awkward if I'm in public!). I love the instrumental breaks in the song in particular, it feels really epic! On a real fashionista note I just loved all of Mia's outfits! They were so bright and bold with a retro feel, I would happily have her whole wardrobe. Ryan & Emma have amazing chemistry and I found I was really invested in them getting together. That's what makes this film for me and I think their acting is what stops the film from becoming cheesy. 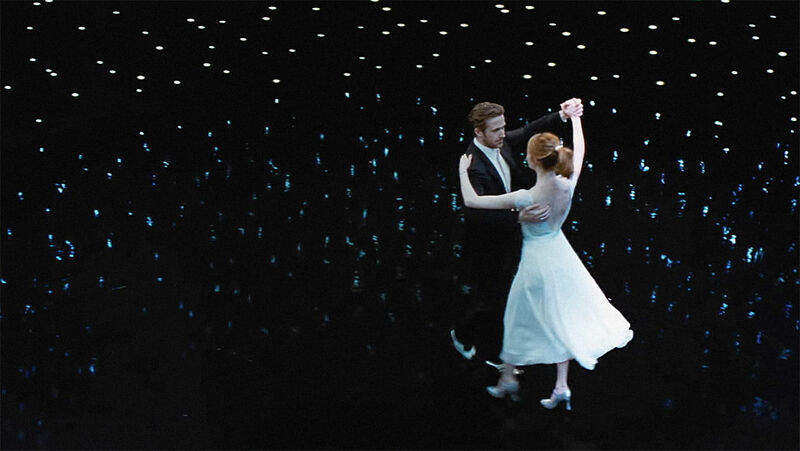 One of my favourite parts is when they're in the movie theatre and then move on to the planetarium. The storyline feels magical and dream-like yet with some very real and tender moments between Mia & Seb. There is also quite a lot of comedy in there too, mostly provided by Ryan, his facial expressions crack me up! I had never heard Ryan Gosling sing before so I wasn't sure what his voice was going to be like. It's good though, not really strong but I think it make the song breaks a lot more natural and 'cool' than if he had a Broadway belting type of voice. 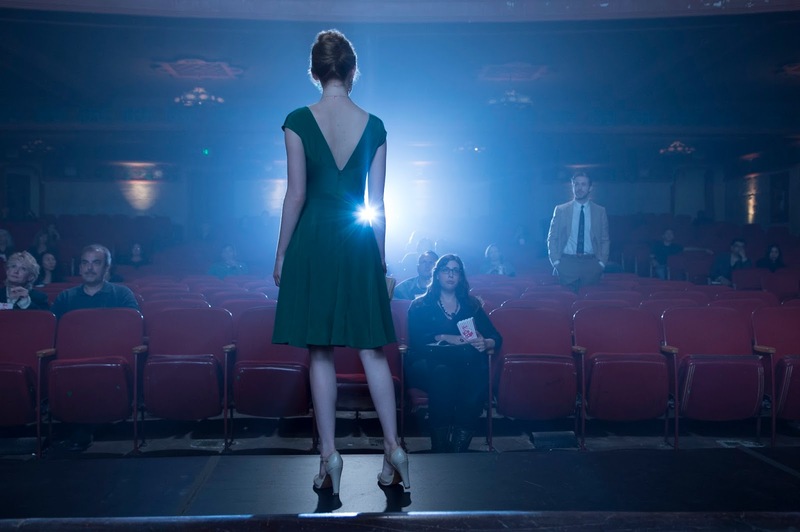 Emma Stone has a gorgeous voice and her monologue-turned-song Audition is very emotional and epic. Unfortunately 5 years later in the epilogue we find out Mia & Sebastian aren't together although they both managed to achieved their own career dreams. This bittersweet ending left me feeling utterly heartbroken! I did shed some tears. Personally I would have lapped up a happy ending with Seb & Mia together, it's what I was ultimately hoping for and sort of expected too. Although I've found on the whole films where the main couple are together most of the way through means it doesn't usually end that way! It definitely felt like a modern twist on how a classic would have ended. I think perhaps they wanted to show the pain & sacrifice of pursuing you dreams. I think in this case the happily ever after was the two leads achieving their goals through pushing and helping one another. 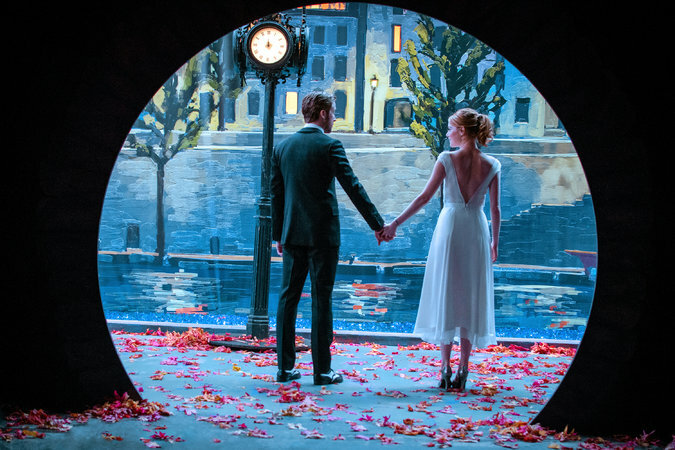 In the montage at the end we see a kind of day dream sequence where Mia & Seb do end up together. However this appears to be at the cost of Seb's dream of opening up is own Jazz club. We see Seb turning down Keith's job offer, attending Mia's opening night of her play and basically supporting her whole heartily whilst sacrificing his own dream. Mia becomes the successful actress she is, they end up staying together, having a baby and years later entering a Jazz club but not owned by Seb. If this was reality I suppose it may have ended up poisoning their relationship in the long run. So perhaps there was no way for the characters ending up together happily. We didn't find out much about the guy Mia was married to in the epilogue, he didn't seem all that great. However this is Hollywood! Who's to say she wouldn't end up ditching that guy once she see's Ryan Goslings face again...sorry Sebastian's! They filmed this movie using CinemaScope, a process they used to use in the 1950's I believe for filming very wide screen for theatres and it gives it that real old Hollywood feel. I do feel like they captured the spirit of old musicals (which I just adore!) but with a real modern twist on the story. It felt nostalgic right down to the font that was used for the titles. I really hope this paves the way for a revival of more classic Hollywood musical style films in the future! So in answer to my own question "would this film live up to the hype?" I'd say mostly, yes it does! I can't wait to watch it again. I think I'm going to go with my Mum to watch it soon as I think it's right up her street. I would definitely recommend giving this film a go, put all the Oscar buzz out of your head and enjoy the pure escapism! "And here's to the fools who dream, Crazy as they may seem..."
Let me know if you've seen the film, I'd love to discuss it! Tell me what you thought of it and more importantly what you thought of that ending!